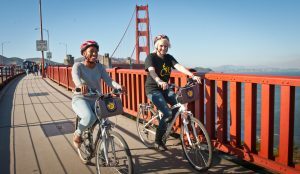 Bay City Bikes- Explore the city by bike! Beginning from any of the Fisherman Wharf locations, you will be provided with a current year model bike, helmet, handlebar bag, a map and instructions for your route. Just tell the staff how many miles you’d prefer to ride and the places that you wish to see and one of the staff members will suggest a great route for you. 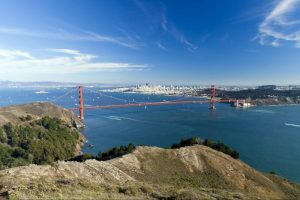 Here is one example of a route: From Fisherman’s Wharf, you can journey along the coast and spot sea lions and dolphins, see San Francisco’s most elegant neighbourhoods before you make your way on to the Golden Gate Bridge. From Sausalito, you can catch a ferry back with your bike. GoCar- GoCar is the first-ever GPS-guided storytelling car and a unique, fun way to explore the city. Whether you want to motor along the scenic 49-mile drive or take a spin over the Golden Gate Bridge, the GoCar will take you there. There are 200 points of interest pre-loaded into your GoCar’s GPS system such as the Golden Gate Bridge, Alcatraz Island, the de Young Museum, Chinatown and the Fisherman’s Wharf. As rated by Nancy Cartwright, the voice of Bart Simpson, it is one of the coolest things to do in San Francisco! Grand City Tour – Enjoy a four-hour guided tour of San Francisco. This fully guided tour, will show you San Francisco like you’ve never seen it before! Tour the city from the bay to the ocean. 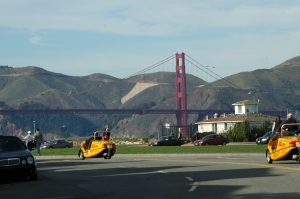 Enjoy great views of Alcatraz and visit famous attractions including the Golden Gate Bridge. You’ll see key locations throughout the city. Hop-On-Hop-Off Bus Tour - A hop-on-hop-off tour is one of the best ways to explore a new city. An Open City Tour’s All Loop package allows you to see San Francisco, Sausalito and the city’s skyline at night. 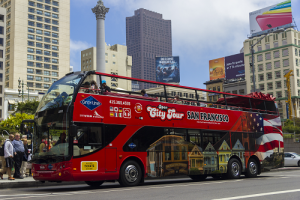 The bus tour will take you to many points of interest throughout the city such as Fisherman’s Wharf, Golden Gate Bridge, Union Square, North Beach and Little Italy. There is a live guide narration so that you can learn about the significances of the stops. Sit upstairs for an open roof experience. You can just relax and take the entire route without stopping or hop on and off the bus as much as you’d like during the validity of your ticket. 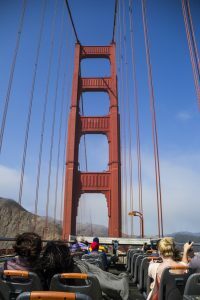 San Francisco Bay Cruise – Your visit to San Francisco wouldn’t be complete without a cruise around the bay. The cruise allows you to get a different perspective of the city and the highlights around the bay. You’ll cross under the Golden Gate Bridge to the bay area’s most popular national monument. Visit Sausalito – the prettiest village in California and sail next to Alcatraz. The cruise is one hour and narrated. 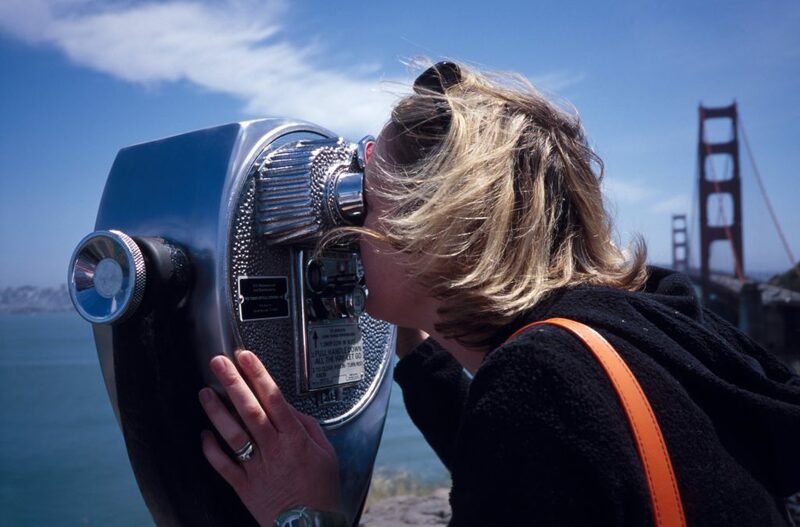 The above options for exploring San Francisco are available with your iVenture Card.